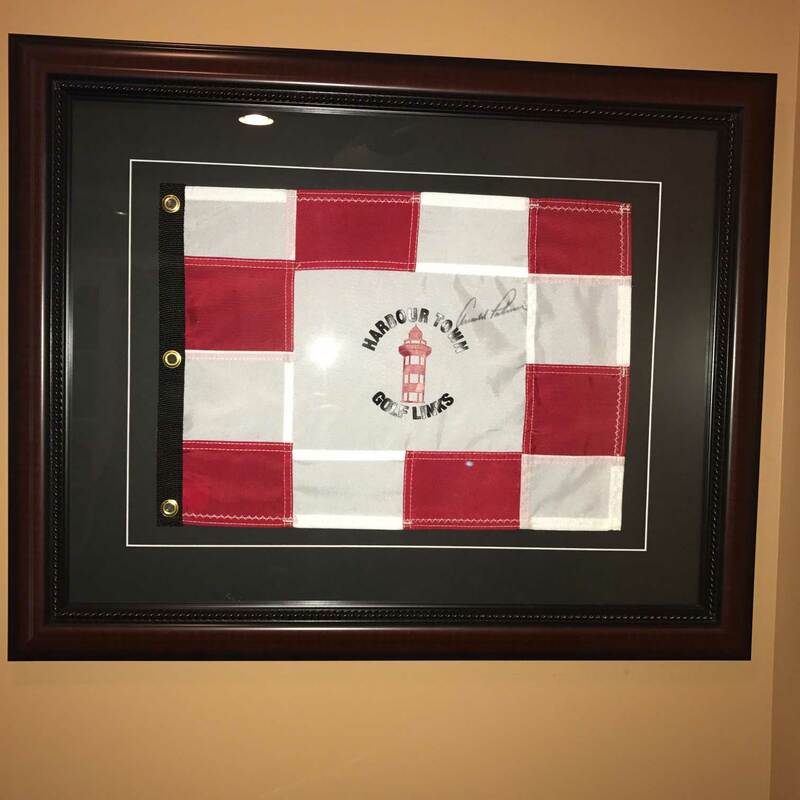 Bill ordered 2 of our 21×33 Golf Flag and Ball holding frames to commemorate his 2 aces in 2018. This frame uses our classic black wood shadowbox moulding and holds a golf flag size up to 14×20 and a golf ball. Bill had engraved plates made and added them himself. Thank you for the great picture. They look great! Congratulations, Bill! This is our 8×15 Golf Scorecard Frame using black moulding BLK-001 and black mat. It is designed to hold up to a 5×12 scorecard. You can find it here on our site. This is our 10×15 Golf Scorecard and Ball Frame using black shadowbox moulding BLK-004 and black mat. It is designed to hold up to a 5×12 scorecard and golf ball. 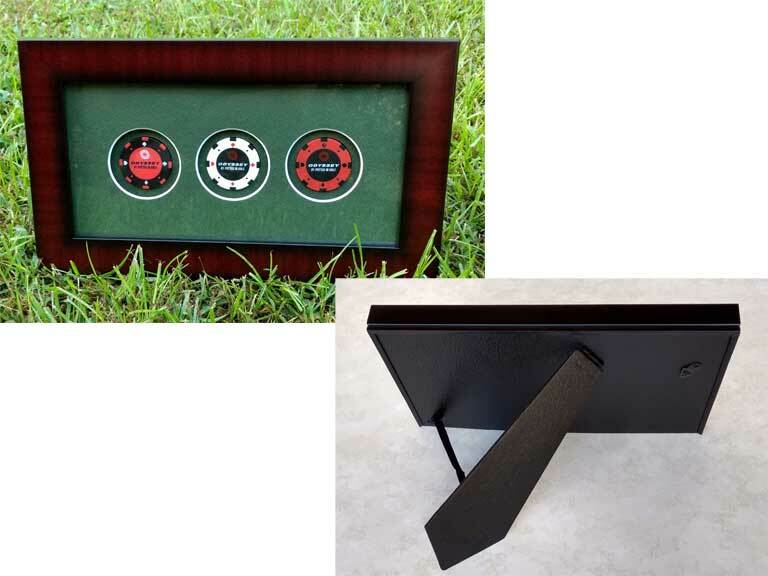 This is our 11×10 Golf Scorecard Frame using black moulding BLK-001 and black mat. 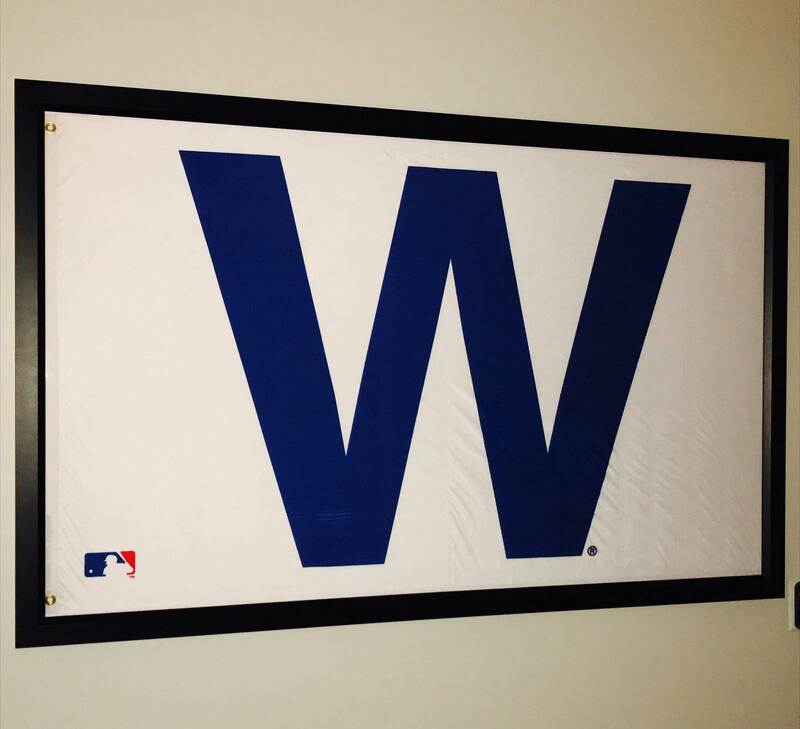 It is designed to hold up to a 6×8 scorecard. 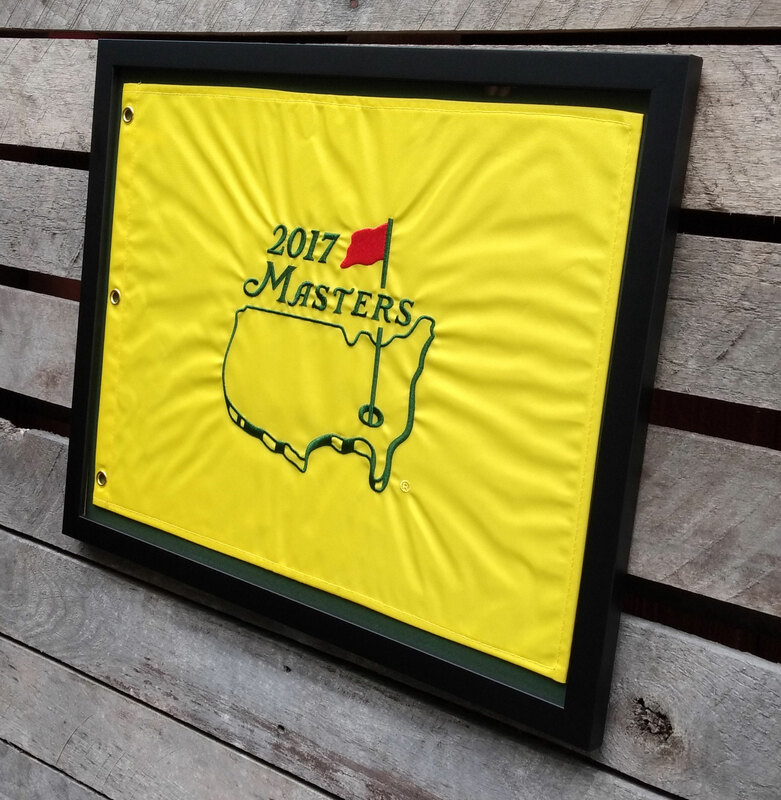 How do you like our 2017 Masters flag? This is a super clean design. 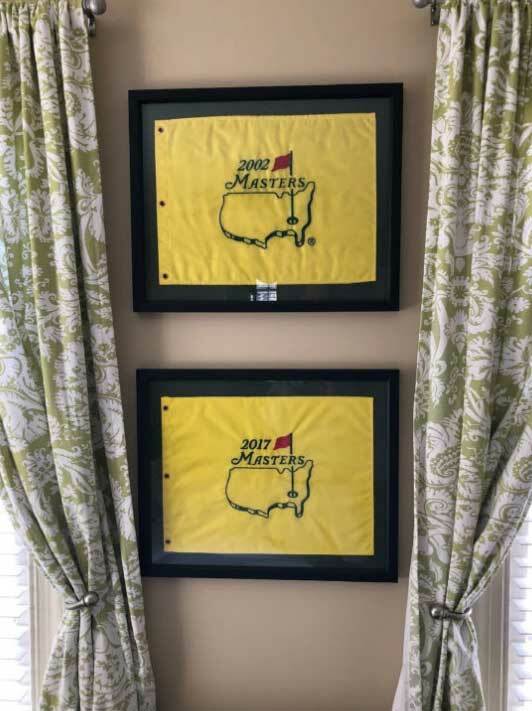 Here are the first two products in our new “Compact Series” line of golf flag display frames. These designs utilize a three-quarter inch black wood moulding that is about one half of an inch tall. This spacing between a 13×17 flag and the frame is about half an inch (our normal spacing is about an inch and a half). The smaller frame allows us to sell these for a compact price too and creates an efficient, clean final look. 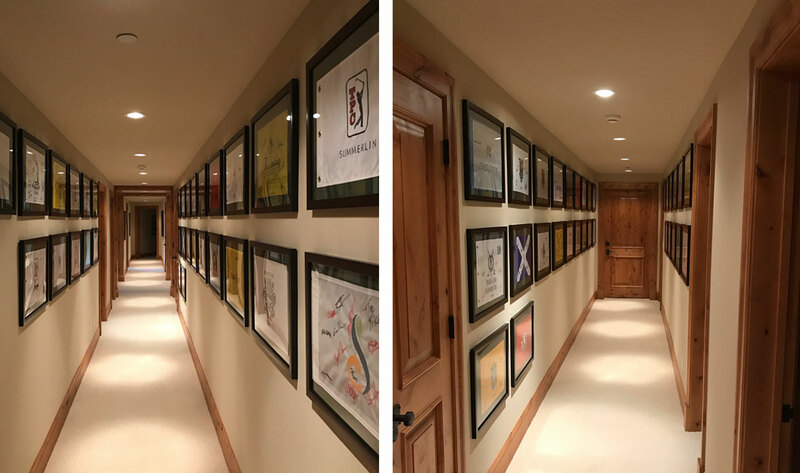 Be sure that your golf flags are not larger than 13 x 17 for the small frame or 14 x 20 for the larger frame or they will not fit in these frames because of the tight allowance. These compact flag frames include a reversible green-black mat, acrylic glass and finishing kit.